Artist book. Inkjet print on Canson paper. This book was inspired by the story of Spike the Corpse flower at the Chicago Botanic Garden that, in the summer of 2015, failed to bloom on its own. The book's text features a poem written by myself as a reflection of the event. The book mimics the events, using the colors of the corpse flower the book can be read from either end towards the center. 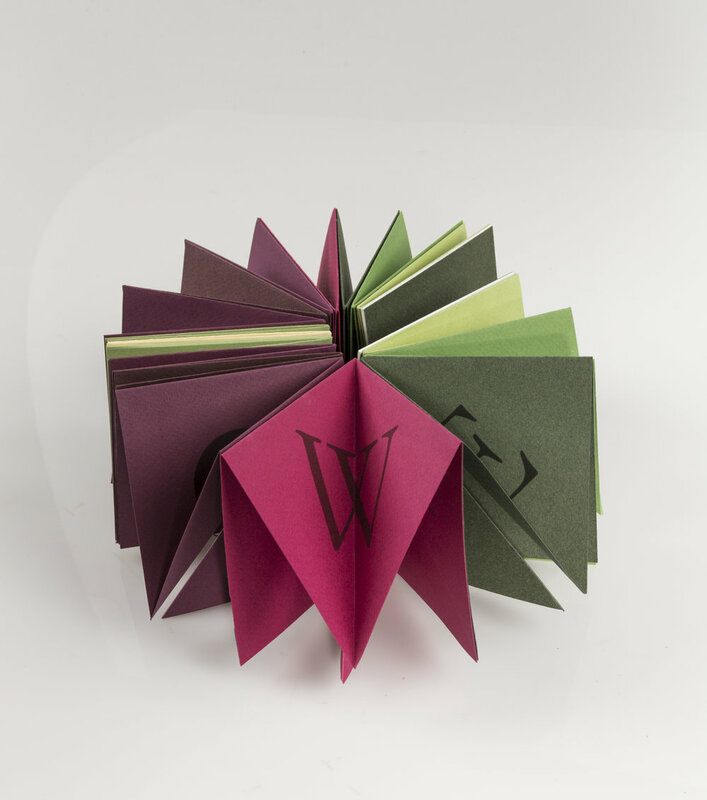 Corpse Flower also features a starburst binding style, in which the reader must unfold each page open in order to read the text inside. When the book is viewed on the outside it reads two different messages on each side "Missed bloom" and "Corpse Flower".